Can adrenal fatigue interfere with the conversion of T4 into T3 in a post Graves Disease patient taking synthetic T4? My thyroid gland does not work so I don't think I'm suffering from pregnenolone steal. But I am clearly not converting. Haven't been for years. And yes, I've been under a lot of stress. Boy, I just don't know the answer to that. 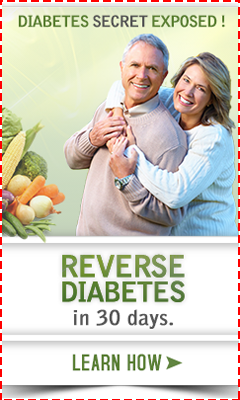 Do you know that you are not converting because of your TSH levels? Or do you know because of how you feel? That might help me to answer that question a bit better. If your levels are OK, but you still feel rotten, it may be 'just' your adrenal glands. I did find some evidence (in rats at least) that magnesium deficiency (which contributes to adrenal fatigue and can be a result of stress) can lead to lower t4 and t3 levels. But, unfortunately, I couldn't find anything on that at all, and very little research is dedicated to Adrenal Gland Fatigue since most doctors don't even 'believe' in minimally functioning adrenal glands. Much of the information that I have is due to the observations and laboratory testing on patients and how they react in real life by hundreds of practitioners all sharing and comparing their (extremely similar) results. But not much money has been devoted to this topic for me to have any peer reviewed studies that have looked at this. My TSH is always high, my T4 level is always high normal and my T3 levels are alwasy very low. I'm clearly not converting. My magnesium was recently very low so I'm taking MG Oxide 3 times/day. Might switch to Taurate as I heard it's absorbed better. My D was also dangerously low. I'm taking 4000 unis per day. Oh, that's a different story..
Oh my! 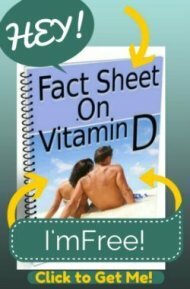 OK, having a low mag and a 'dangerously low' vitamin d are important matters to address and COULD be affecting your thyroid conversion. 1) Magnesium: Yeah, mag oxide is not going to replenish you if you are THAT low. While your mag level may not have LOOKED 'dangerously low' on the lab sheet, take a look at my page on Magnesium Levels to see why ANY low magnesium on a magnesium blood test really IS actually dangerously low. This is because your body will do ANYTHING to maintain a normal magnesium level, so the levels INSIDE your cells- where it's important- will be SEVERELY depleted before it starts to show on a blood test. So, really ANY low number on a magnesium blood test IS 'dangerously low'. So, take a look at my page on getting the right Magnesium Dosage to see how to determine the proper dose for you. 2) Vitammin D: If you are 'dangerously low' in vitamin d, then 4000 IU's is NOT going to fix that. That is really a maintenance dosage and is actually less than what I take every day (I take about 5000 IU's- which is really just about what most people need for a maintenance dose). Take a look at my page on Vitamin D Deficiency Treatment page and you'll see that the 'standard of care' is to give about 7000 IU's a day, but for a 'dangerously' low level, giving closer to 20,000 IU's a day for the first month is actually a MUCH better strategy. You could even just take one big dose of 600,000 IU's all at once and then continue to take your 5000 IU's per day as a strategy to get feeling better more quickly.If that makes you worried, then take a look at the Overdose on Vitamin D page to see that a dose of 600,000 IU's was a 'standard of care' to give all INFANTS in East Germany at birth and every 3 months thereafter until they were 18 months old- for a total of over 3 MILLION IU's before the age of 2 years old- with NO PROBLEMS!! I actually took 25,000 IU for 2 days before I started on 4000 IU's. I'll ask my doctor to re-check my levels soon. Do not take synthetic thyroid hormones, especially when u know they don't work. You cannot convert T4 to T3, which is the active hormone. Taking synthetic is T4. Take it all u want and there is no conversion. Why not just take T3 straight and avoid whether there is a conversion or not. I take T3 sustained release from a compounded pharmacy. I also have Adrenal fatigue and take Compounded Cortisol for that. I have been on this road for a while and would not function without those two. I'm so glad my doc knew better than to put me on the useless drug synthroid. Read-stop the thyroid madness. It's online. Gosh I wish all people and docs knew this. It's really simple when u get it and u wonder why all the docs and NP dont know this.